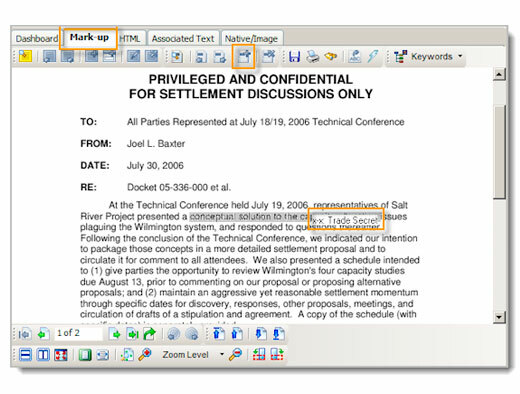 Westlaw® Case Logistix® makes it easy to create redactions, which can block or mask text when you produce the document. Note: You can only create a redaction on a mark-up version of the document. Click the document in the Document List that you want to redact. The Select Redaction Code dialog box is displayed. Select a redaction code or click Add to add a new code. Click OK. The redaction is displayed in the document as gray highlighted text, with the redaction code in the upper-right corner of the shaded area.